March 2019: New York, New York! Just returned home from a 2-week run with Theatre Re in New York City, and it was an unforgettable experience to say the least. We performed The Nature of Forgetting 15 times at the very special New Victory Theatre, and in total 4,138 people came to see the show. To top it all off, we received this wonderful seal of approval from Sarah Jessica Parker! Here's the 3rd video from the recent Future Gold live session. This was recorded in Fred's rehearsal studio in North London and the track is called 'Roswitha'! Secondly, Theatre Re have been very busy over the last few months and we are very excited to be premiering new show Birth in January! Here's a very serious action shot from our recent rehearsals at Shoreditch Town Hall, where we will perform the show from January 10th - 13th. 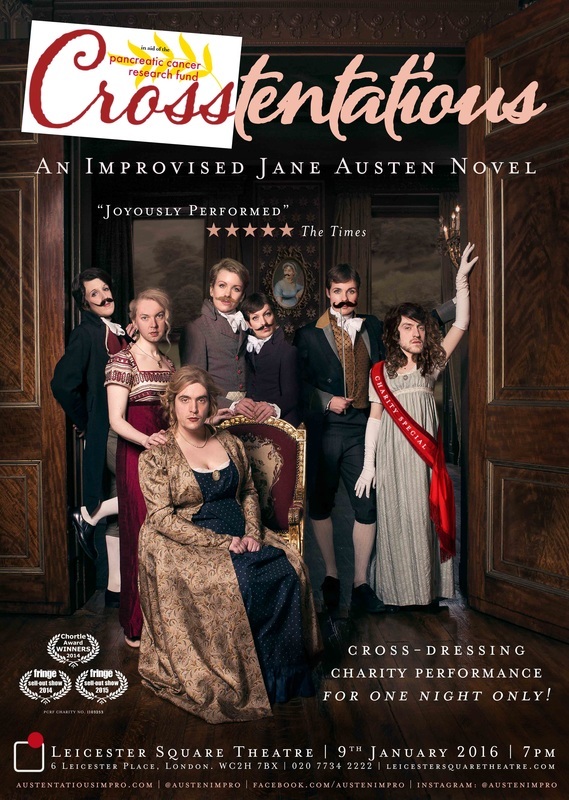 Last but not least, the brilliant Austentatious have announced a new West End residency for 2019, and I'm very much looking forward to accompanying them at selected shows at the Fortune Theatre in the near future! 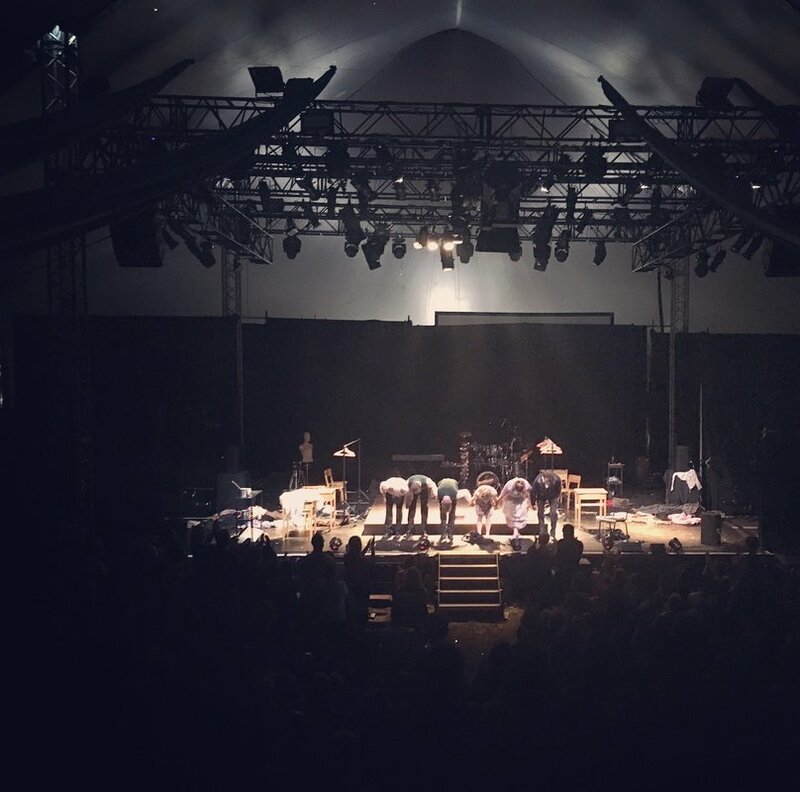 After 5 weeks of touring up and down the East coast of America, having driven over 5400 miles, crossed 12 states and performed 16 times in 13 venues for more than 4000 people, we are now back home! Thank you to all the venue crews for being so accommodating and the wonderful audiences who came to see our work. After a few days off in London to acclimatise, we'll then be jumping straight back into new project Birth in order to add the finishing touches ahead of the premiere in January! It has just been announced that the new Theatre Re show Birth will premiere at the London International Mime Festival in January! I'm very honoured to be composing the soundtrack for the show, and will perform the music live. Tickets go on sale on Monday 15th October; the day that we head off to the States for the North American tour of The Nature of Forgetting! Very excited to share some new music! Future Gold is a jazz fusion trio that I co-founded with Fred McLaren on drums and my brother Jack on double bass. We recently recorded a few songs in our rehearsal room, and here is our debut live video from that session! The song is called 'Common Ground'. It's been a busy few months for Theatre Re as we rounded off an R&D period for new project Birth, and rehearsed with Fourth Monkey Theatre Company in final preparations for the co-devised piece that will be performed at the Edinburgh and Camden Fringe Festivals. 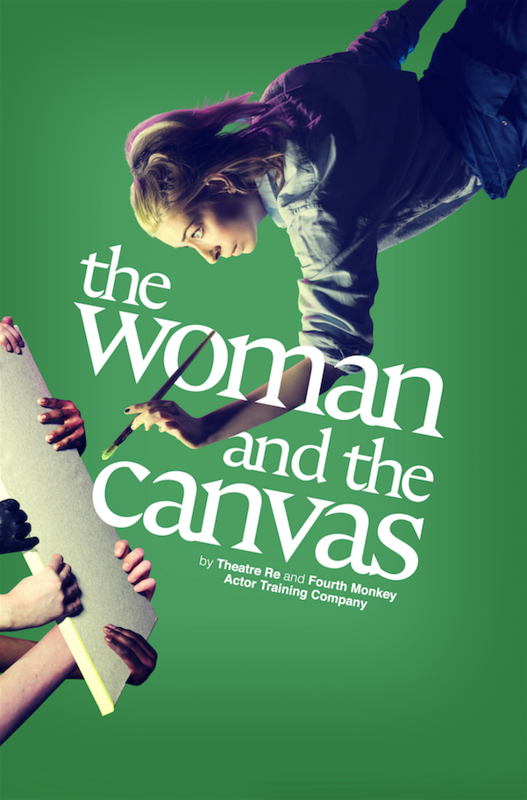 A montage of the soundtrack from the Woman and the Canvas is up on my Soundcloud, and the entire album can be downloaded / streamed from the Theatre Re Music Glue webpage! In the Autumn we'll be taking The Nature of Forgetting on a rather special journey: a 5-week tour of North America! Centered around the East coast, we'll be travelling from Maine in the North to Florida in the South. 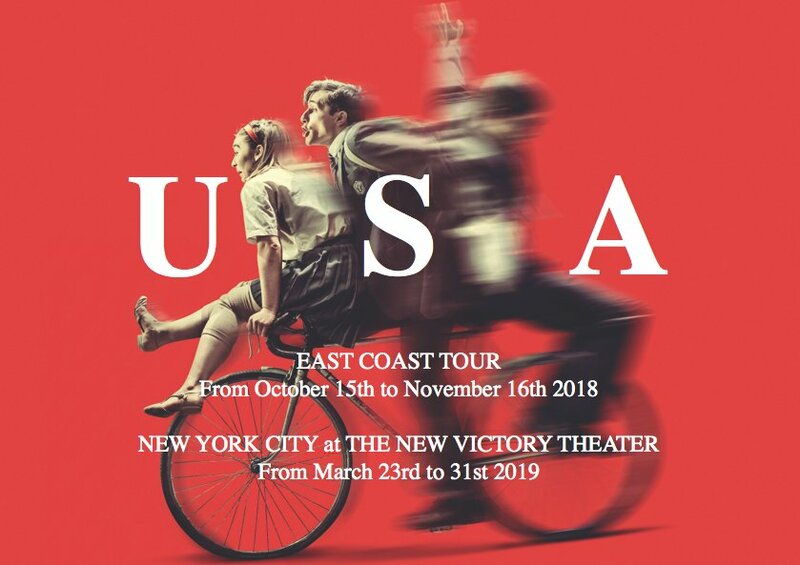 But that won't be our only time in the States; In March 2019 the show will be off-Broadway at the New Victory Theatre in New York City! The full touring schedule is now up on my Live page. June 2018: Debut jazz trio gig! 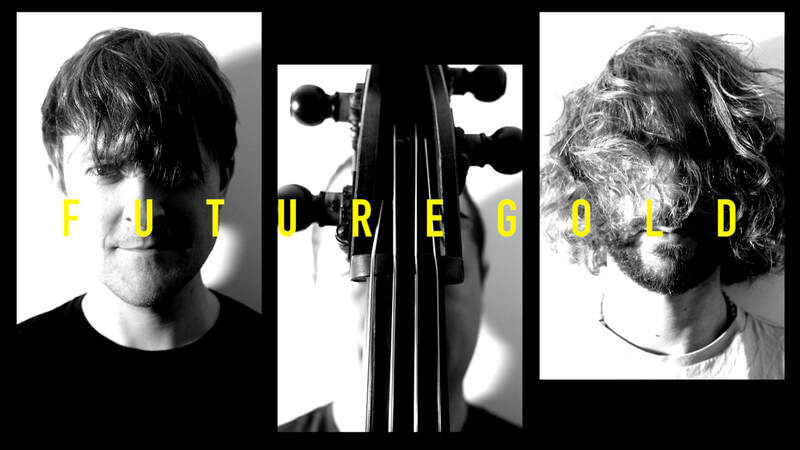 Absolutely thrilled to be able to announce the debut gig of Future Gold; the jazz trio project I've been working on with Fred MacLaren (drums) and Jack Judd (double bass). We will play tracks in front of an audience for the very first time on Saturday 23rd June, at the Chelmsford Festival of the Arts! 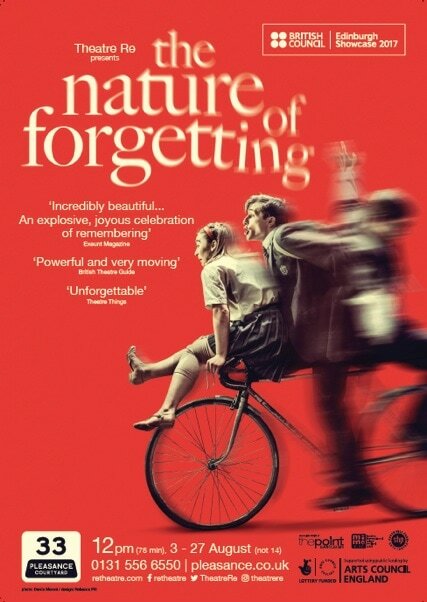 "It has to be said, ‘The Nature of Forgetting’ had one of the greatest live soundtracks I have heard accompany such talented performers, composed by Alex Judd it was satisfyingly brilliant, and without such music the piece would not hold the same weight." "The music (which was done live) was like heaven in my ears! It was gorgeous to hear! And it was another great layer added to the storytelling of the show, the way it glitched at times when Tom struggled to piece his fragmenting memories together was painful to hear as I felt the torture of what the character was going through." "Alex Judd’s score (which he performs alongside Chris Jones or Keiran Pearson) is simply mesmerising. It’s completely evocative of the feelings each specific memory brings, meaning that you are right there with Tom as he slips backwards & forwards in time – from his schooldays to his wedding." 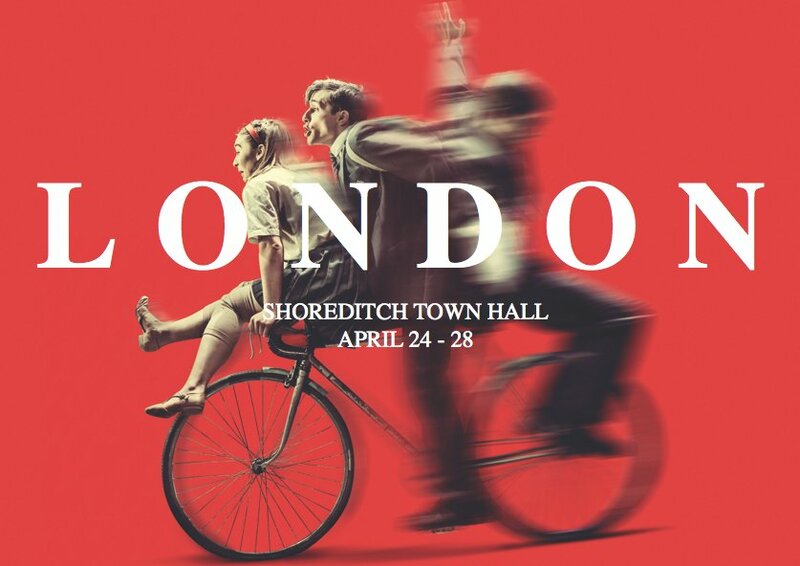 The first reviews from our London run at Shoreditch Town Hall are in, and there are some fab ★★★★ from 'Whats On Stage', 'The Reviews Hub' and 'Miro Magazine'! After the run at Shoreditch Town Hall at the end of April, I'll be on tour with Theatre Re in May and June taking The Nature of Forgetting to various theatres around the UK. Full details are on my live page, but here's an overview! In the last month Theatre Re toured to Brazil, Peru and Leeds before spending a week in London developing new project Birth. With the support of the British Council, we brought The Nature of Forgetting to Brazil in Campinas (Feverestival 2018) and Sao Paolo (SESC Santana), and then flew to Peru and took part in the FAE Lima 2018. Overall, 2000 people came to see the show and the response was overwhelming! We also led workshops in South America, one of which was a 'Composing for Theatre' masterclass in Lima. 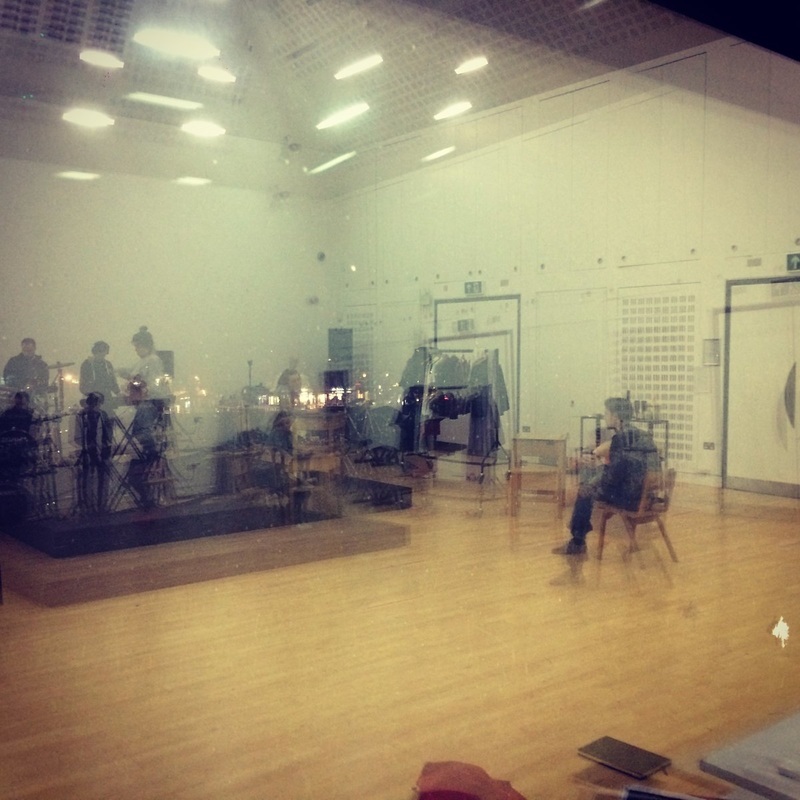 I am currently working on a commission from Middlesex university dance department to compose a score for a graduation piece choreographed by Shaded Voice Dance Company. More on that soon! 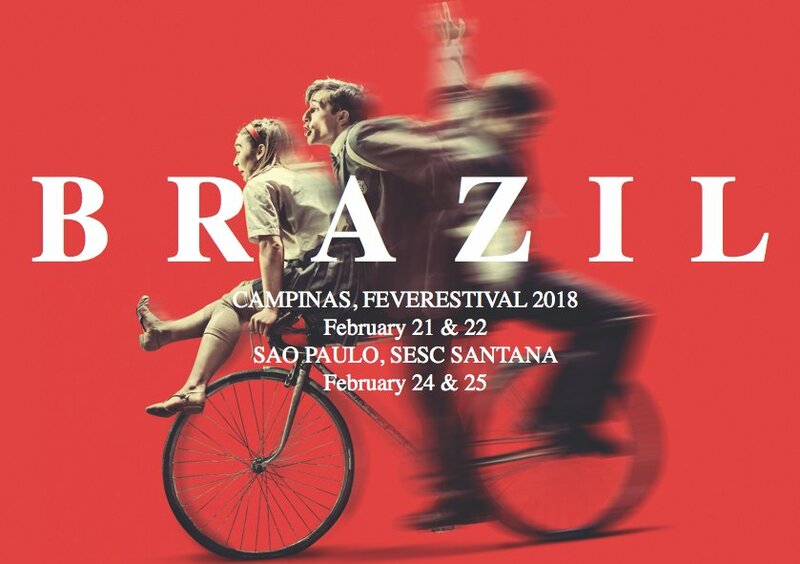 Later in the month I'll be heading off to South America for a couple of weeks on tour with Theatre Re, as we have been invited to perform The Nature of Forgetting in Brazil and Peru. Immediately after flying back to London (and probably coming back down to earth with a bump!) we travel up to Leeds for a run at the West Yorkshire Playhouse, before heading back down to London again for the next R&D week of new project Birth. All performance dates are listed here! January 2018: Happy New Year! 2018 is shaping up to be full of an exciting and diverse mixture of performances, compositions and new opportunities! 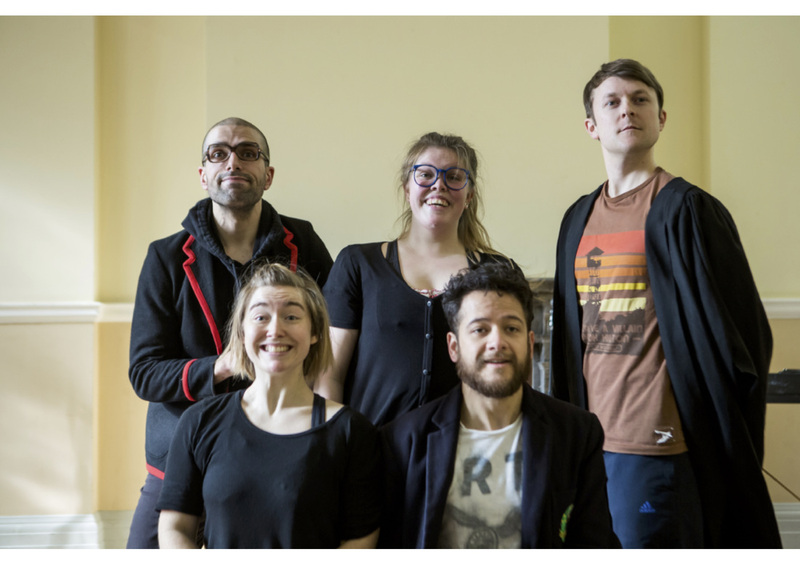 Theatre Re will be collaborating with Fourth Monkey Theatre Company and their Year 2 Actors-in-Training to take a new production to the Edinburgh Fringe and Camden Fringe Festival next summer. Work on this production begins in January. Also in January, the Austentatious West End run continues with a performance on Tuesday the 23rd. I'll be playing piano for this show, along with the following show on February 13th. In March, work on the new Theatre Re production Birth continues and touring of The Nature of Forgetting begins in earnest with 5 performances at the West Yorkshire Playhouse. The 2018 tour for this show currently takes in 31 cities in the UK and abroad, with more than 60 performances planned; all of which will be updated here! On the 5th December Austentatious will be performing their debut show in the West End at the majestic Piccadilly Theatre, and I am absolutely delighted to be joining them on stage as an accompanist! Tickets are available here and two further shows will follow in January and February. In other news, I spent the last two weeks of November in a residency at The Point in Eastleigh composing for Theatre Re's new project Birth. The project received funding from Arts Council England and the initial R&D will last for the next 9 months. Updates to follow soon! There are also a few London dates in the pipeline with Austentatious, where I'll be accompanying them on violin: firstly at their last show at The Leicester Square Theatre before they transfer to the West End, and then at their first few shows at the majestic Piccadilly Theatre! All upcoming performance dates are up on the 'Live' page. 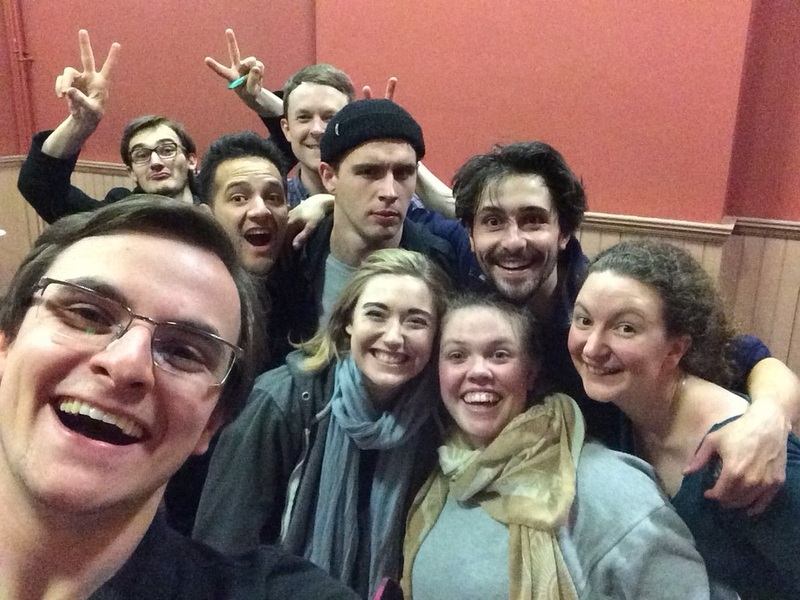 The latest newsletter from Theatre Re is out! It has only been a few weeks since the end of the Edinburgh Fringe Festival 2017 but it already feels like a few years. We are delighted to share that our Ed Fringe run was a huge success! 5518 people came to see the show in Edinburgh, we received 13 five-star reviews and even won an award! Thank you to all the people who came to see us and talked about the show afterwards... We would not have been able to make it without you! We are now in the process of organising a tour in 2018 and 2019 and it will all be announced shortly. This Autumn is also a very exciting time as we are about to start developing a new piece with the help and support of The Point in Eastleigh, South Hill Park Arts Centre, Shoreditch Town Hall, Jacksons Lane and Haringey Council. We cannot say anything about it just yet but more to follow very soon! Following yet another sell-out Edinburgh fringe run, the ridiculously talented ﻿Austentatious﻿ will embark on a nationwide tour this Autumn. I am thrilled to be accompanying them on a string of dates performing in such grandeur as Kensington Palace, Bath and The Lowry! The full list of dates are up on my 'live' page. August 2017: More Ed Fringe reviews! Theatre Weekly ★★★★★ "The music, which is played live, is so hauntingly beautiful. It soars and gathers pace in time to the story being told"
Fringe Review "The highest praise for this production must go to the music, the integral element which made The Nature of Forgetting realise all its conceptual potential. Alex Judd’s score was electric." Ed Fringe Review "The other outstanding aspect of the performance was the music, as written by Alex Judd. At times melodious, at times discordant, it worked beautifully with the mood of the movement, and with perfect synchronisation." Theatre Re were selected to be featured on BBC Radio 4's Front Row programme, broadcasted live from Edinburgh! Guillaume was interviewed by John Wilson about The Nature of Forgetting, with a short excerpt of music from the show being played on air. You can listen back here! GQ Magazine ★★★★★ "...the fantastic live band (whose score for the show is brilliant)..."
London City Nights ★★★★★ "...soundtracked by a powerful live score... The action is fantastically soundtracked by Alex Judd's fantastic live score." Theatre Bubble ★★★★★ "The two musicians, led by Alex Judd, are stunning, creating a soundtrack that is at some point cinematic, at others delicately intimate." The Wee Review ★★★★★ "a magnificent soundtrack... set to the kind of score that John Williams would boast about at a dinner party"
The List ★★★★★ "Alex Judd's Sigur Rós-style music, played live behind a battery of on-stage instruments, only adds to the show's huge emotional punch." Three Weeks ★★★★★ "The use of live music here is essential, as it ties together the intangibility of sound with that of memory, allowing the two musicians to conduct this fantastical journey..."
The Reviews Hub ★★★★★ "Set against Alex Judd’s beautiful composition..."
A Younger Theatre ★★★★ "A highlight of the play is the score, composed by Alex Judd, which is performed live on stage. It’s absolutely stunning." Broadway Baby ★★★★ "dazzling live music... undoubtedly a treat for both the eyes and ears." The Peg Review ★★★★ "A character in its own right, the live music performed in this play is diverse, commanding and really gives the narrative backbone." August 2017: First Edinburgh review! The first Edinburgh Fringe Festival review of The Nature of Forgetting is out, and it's a good one! "...composed music, momentary voices and ambient found-sounds weave a tapestry of complex childhood memories in an ecstasy of articulate fluidity... composer/multi-instrumentalist, Alex Judd’s aural expressionism is magical." Music from the Theatre Re shows The Nature of Forgetting and Blind Man's Song are now available to purchase online! Albums of the soundtracks from the two shows are available to buy for £10, and the individual tracks can be streamed in full. We'll also be selling the music on USB sticks after each performance in Edinburgh! July 2017: Sleepless in Latitude! Just back from an exhilarating 36 hours at the Latitude Festival, where we performed The Nature of Forgetting to a packed Theatre Arena after a one-hour get-in and zero hours sleep! The standing ovation we received made it all worthwhile and was a reassurance that the show is now ready to be unleashed in Edinburgh! June 2017: Guardian Edinburgh Highlights! Some exciting news from Theatre Re: The Edinburgh Fringe Festival is just around the corner now and we are absolutely delighted that The Nature of Forgetting was included in Lyn Gardner’s Edinburgh ‘what to see and where to go’ roundup for The Guardian! More details about our Edinburgh Fringe run can be found here. Also, after five gloriously intense weeks of devising, the result of our collaboration with Fourth Monkey Theatre Company will open this week. The piece is called The Woman on the Chair and is a haunting and poetic homage to the work of Swedish Writer and Director Ingmar Bergman and Italian Director Federico Fellini. Tickets have now sold-out. For the last few weeks Theatre Re have been devising an end-of-year performance with the brilliant actors in training at Fourth Monkey. I have been composing the music for the show and tickets are now available to see the result of our collaboration on the 14th, 15th and 16th of June! Delighted to confirm that Theatre Re will be going back to the Edinburgh Fringe Festival this August with our new show The Nature of Forgetting, for which I composed the music for (and will perform live with a percussionist). We will be performing at the Pleasance Forth everyday at 12pm, from August 3rd to 27th (not including 14th). Tickets have just gone on sale and are available here! Equally exciting is the news that we have also been invited to be part of the main programme of the British Council Edinburgh Showcase 2017: "The British Council’s biennial Edinburgh Showcase is the single biggest opportunity for UK theatre companies to introduce their work to international promoters. The programme comprises new work that represents the very best of contemporary theatre and dance, reflecting the breadth and diversity of British performing arts." The Showcase will be happening from August 21st to 26th in Edinburgh and the full programme has just been announced. New project spoiler alert! Number One Drummer (a.k.a the awesome Fred) and I have been locking ourselves in a rehearsal room somewhere in Camden over March, working on new and original material for a jazz trio project. It's very early days but we're really excited to share the music with the world; here is a little taster! Happy New Year! After more than 16 months in the making, we premiere The Nature of Forgetting next week (Jan 18th, 19th and 20th) at Shoreditch Town Hall as part of the 2017 London International Mime Festival. I composed the music and will perform the score live with percussionist Keiran Pearson. We are delighted to have been included in the What's On Stage, Evening Standard and Time Out London top picks of the festival! October 2016: New Theatre Re piece to premiere at the London International Mime Festival 2017! 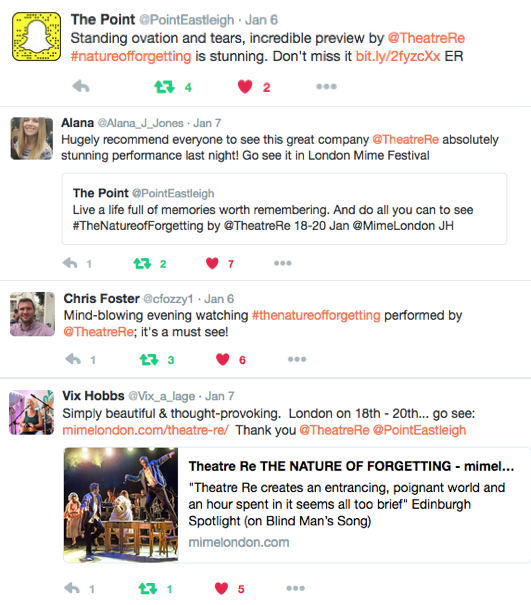 Theatre Re's new show The Nature of Forgetting will premiere at the London International Mime Festival in January. We'll be performing in the gorgeous Assembly Hall at Shoreditch Town Hall on Wednesday 18th, Thursday 19th and Friday 20th January at 8pm. We've made a video trailer for the show, and the music from the trailer is also up on my soundcloud page. The music will be performed live onstage by myself and a percussionist; more info on the creative team and the show itself, along with how to purchase tickets, can be found here! 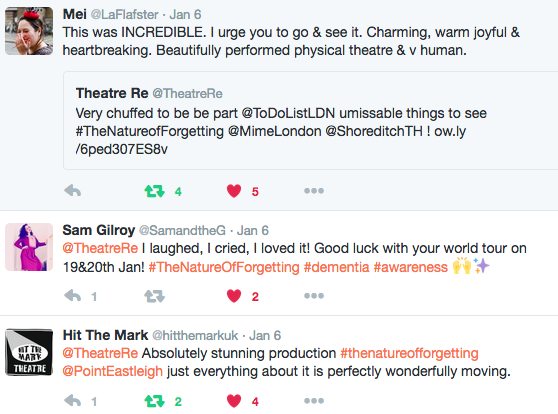 The Nature of Forgetting will also preview at The Point, Eastleigh on Friday 6th January at 7.30pm. After heading to the South of France at the end of July to perform at the Mimos Festival in Perigueux, we'll be back on tour with Blind Man's Song in the UK in the Autumn. 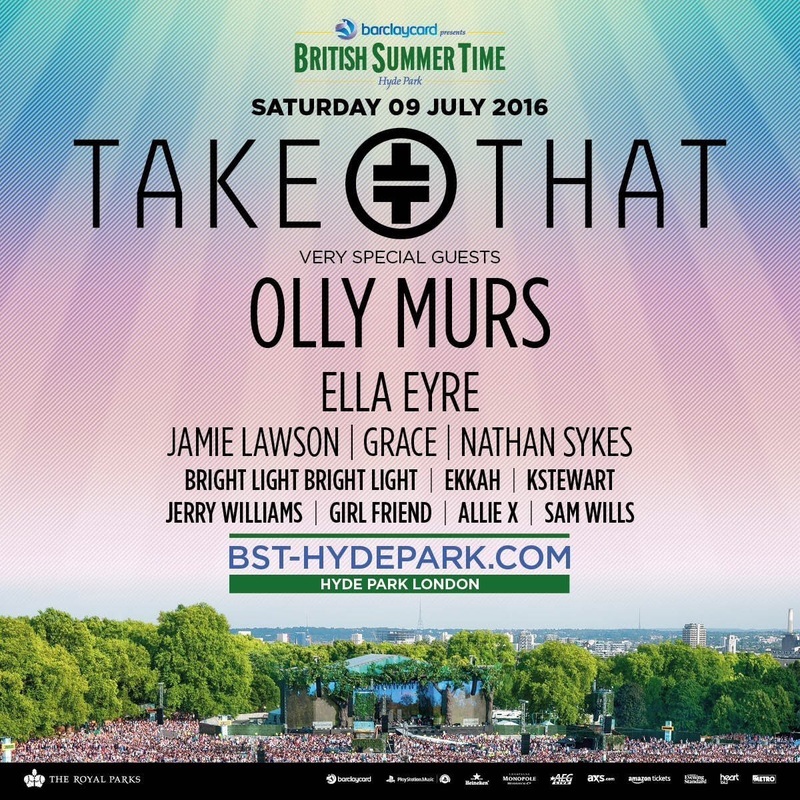 The run of dates will include possibly the last performance of the show in London! 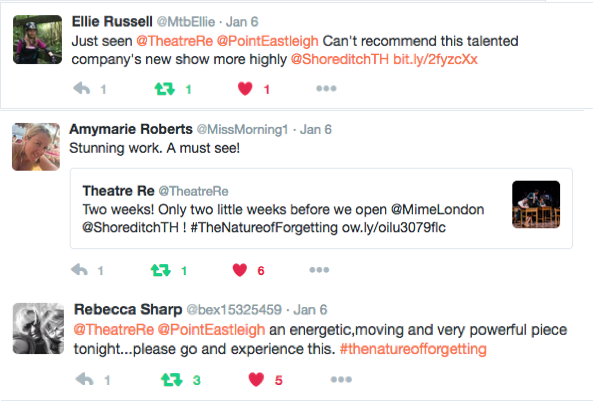 Also, this month saw the culmination of the final R&D period of Theatre Re's new show The Nature of Forgetting (working title), with performances in Haringey and at Lincoln Drill Hall and South Hill Park. We had some very encouraging feedback from audience members and can't wait to continue developing the piece after the summer! The premiere will be in January in London. 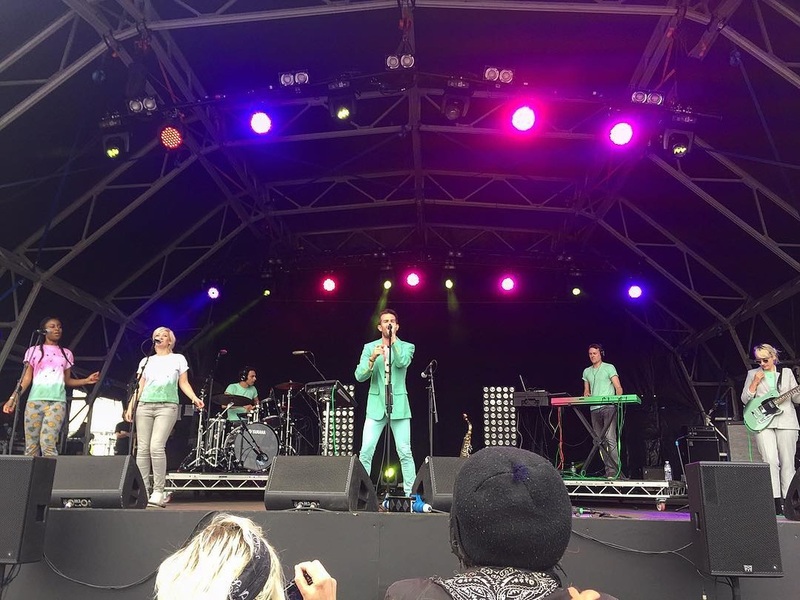 Bright Light Bright Light performed two songs on the ITV Weekend show with Aled Jones, broadcast on Saturday 9th July. Here are the very colourful clips! May 2016: More London run reviews! After the press night of Blind Man's Song at the Pleasance Theatre, the reviews are now starting to come in so here's a selection of the first few! ★★★★★ from Scatter of Opinion: "A strong and beautifully produced set of music by Alex Judd guides us through the colourful imaginings of a blind man... these factors along with Judd’s live music make this one hell of an engaging production." 4.5/5 from Theatre Reviews: "The all-important music, original compositions by Alex Judd, guide the style. 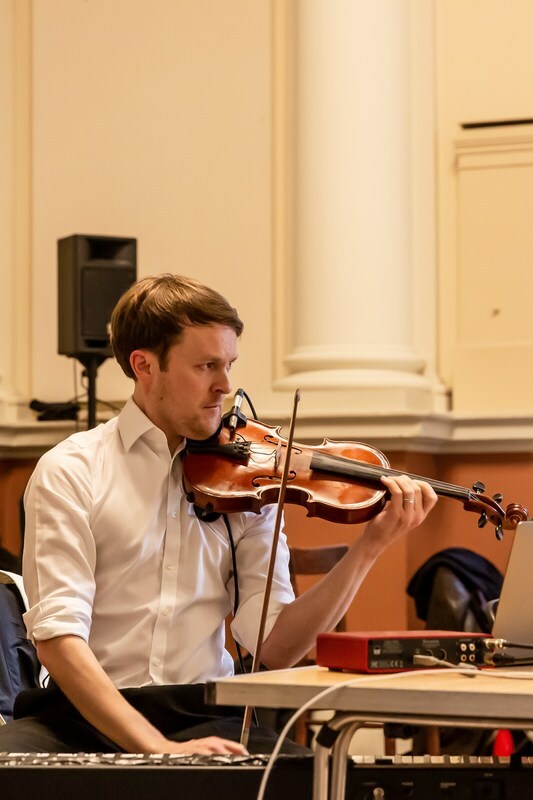 He’s also performing: he plays a phrase, which then loops, plays another on top, which is added, build on build to create the score…..very mesmerising"
Nice mention in Entertainment Focus: "The piece’s real strength lies in its use of music. 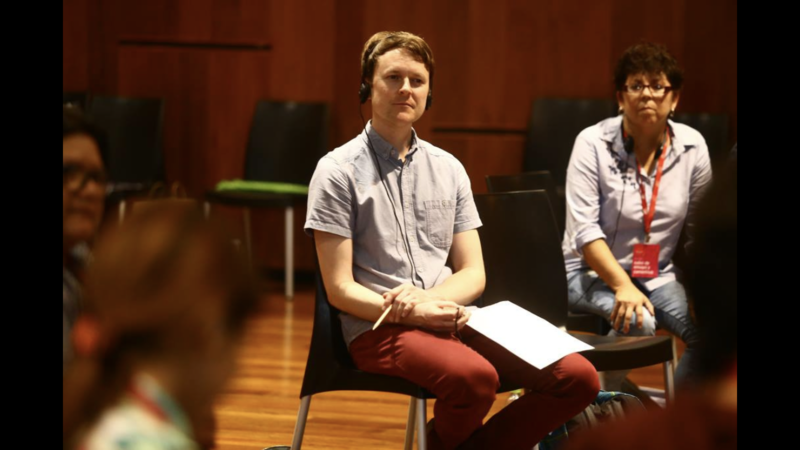 Alex Judd performs his original score on stage with a keyboard, strings and effective use of looping, whilst also being a part of the physical performance." Ahead of the three week run of Blind Man's Song at the Pleasance Theatre, This Week London asked me a few questions about the music and so here's the interview in full! April 2016: Shows, shows and more shows! Over the next couple of months the shows will be coming thick and fast, so here's some more detail of what's around the corner! I'll be accompanying Austentatious on violin for their April Leicester Square Theatre show, and then at the Udderbelly Festival on the Southbank. Secondly, ahead of a new album release I'll be playing keyboards for Bright Light Bright Light for his two shows at the end of May in Cardiff and London. Then there's the small matter of over 30 performances with Theatre Re for the summer tour of Blind Man's Song. All dates here! so if you have not seen the show yet then now is the time! We will be in LONDON at The Pleasance from April 27 to May 15 and you should quote "Song" to get the £12 early bird ticket offer! - only valid until March 27th. Then we take the show on a UK tour to HEREFORD at The Courtyard on May 18, to OXFORD at The North Wall on May 19, to CHIPPENHAM at The Neeld on May 20 and to LIVERPOOL as part of Physical Fest at the Unity Theatre on May 23rd. Then it's off to Europe and RECKLINGHAUSEN (Germany) for the Ruhrfestspiele from May 31 to June 5, before heading to France (we cannot tell you where exactly just yet but it is incredibly exciting - all we can say is that it will be warm and sunny… well, hopefully)! As the month of February draws to a close, so does another fascinating two weeks of R&D with Theatre Re for our work-in-progress The Nature of Forgetting. We have enlisted the services of drummer / percussionist CJ Jones which has added a whole new layer of depth and complexity to the music and sound. We'll be taking a break from the new work as Blind Man's Song tours in the spring, before heading back into the final R&D period in June. Here is a glimpse of some of the characters! 2016 has just started and we already have much planned for the year! As you know we are making a new show; our working title is The Nature of Forgetting and you can follow our progress on our blog where we will post videos, testimonies and pictures as we go along! Quote "Song" to get the £12 early bird ticket offer! More touring dates for Spring 2016 and Autumn 2016 will follow very soon! 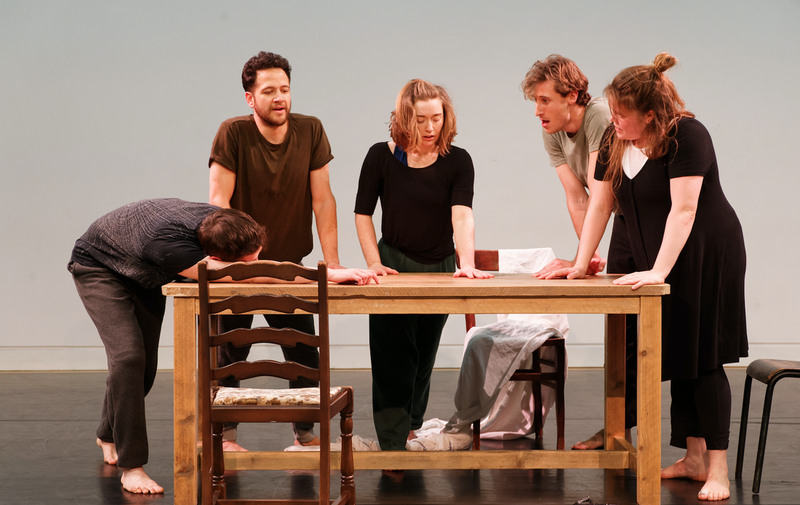 And last but not least our next public masterclass has just been announced: From Actor to Mime will be taking place at Shoreditch Town Hall in London from May 9 to May 13 and you can book your place here. Happy New Year! 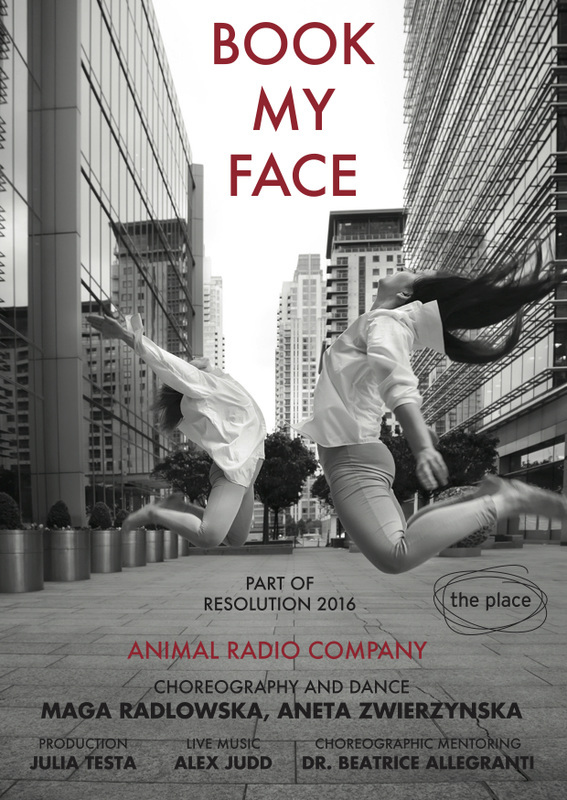 Here's some more info on a couple of exciting shows I'm going to be involved in early in the new year: On Friday 15th I'll be joining the wonderful Animal Radio dance collective on stage, as the live musician in their performance at the Resolution Festival at The Place. Tickets can be booked here. Also on Saturday 9th I'll be accompanying the brilliant Austentatious in their cross-dressing show 'Crosstentatious'! Tickets are available here and all proceeds go to charity! Some news from Theatre Re! Delighted and proud to tell you that our application to Arts Council England for the development of our new piece The Nature of Forgetting (working title) has been successful! We are starting next week and a lot more news about this new adventure will follow very soon. We are also very happy to let you know that after sell-out runs at the 2015 London International Mime Festival, Latitude and the Edinburgh Fringe, Blind Man's Song will be back on tour with more than 30 performances in the UK and abroad in late Spring 2016! All the dates will be announced shortly. Honoured to say that I've composed the theme tune for podcasts by the talented folks at Crooked Pieces. You can listen to the podcast here (episode 3) or the track in its entirety here! Aguna, the short film by Floodwater Films featuring dancer/choreographer Magdalena Radlowska with an original soundtrack by myself, has been selected for the prestigious InShadow Festival in Portugal! The film is in the running for several awards: Best Film (Official Jury), Best Interpretation, Best Choreography, Schweppes Portugal award, Best International Film, Best Film (Audience Jury). Updates as they happen! It feels as though Edinburgh has only just finished, but last weekend we were back on the road again to perform Blind Man's Song in Manchester at the spectacular Lowry. This took our total number of performances in the past year to 40 and brought the curtain down on Blind Man's Song for 2015. Here's a great review from the Manchester Theatre Awards, who described the show as "vibrant and emotional". As one chapter closes (for now! ), another begins as we start work on the new Theatre Re project this week! A few facts and figures from our month in Edinburgh! We performed Blind Man's Song 25 times to more than 3000 people; collectively we saw 142 shows; carried (yes carried!) our bed and piano across Edinburgh from the Pleasance Dome to the Pleasance Courtyard and back; performed an extract on the Pleasance Grand stage (it was absolutely packed! ); appeared on the BBC website; sold 130 USB stick of Alex's music from the show; ate countless chocolate bars; and... even met Eddie Izzard! August 2015: Reviews coming in thick and fast! ★★★★★ from Three Weeks: "Stunning original music, minimalistic staging, crisply performed - this piece could not be more beautiful, and will stay with me a while yet." ★★★★ from Plays To See: "The live music is an undeniable highlight. Alex Judd never misses a beat. As the ‘blind man’ of the tale, he loops piano lulls with staccatos on his electric violin, creating an incredibly varied soundscape that does so much more than ‘accompany’ the show… It provides it with its core." 4/5 from Theatre Full Stop: "This production’s scaffolding is its music both composed and performed by Alex Judd who plays the role of the Blind Man. Within this production The Blind Man is performed with such passion that you cannot help feeling utterly engaged by both the music and Alex’s characterisation"
'Highly recommended show' from Fringe Review: "Beautiful violin and piano music and a soundscape are played live and electronically by Alex Judd"
August 2015: Another ★★★★★ review! The Mumble Theatre blog has awarded Blind Man's Song 5 stars! "Electric is not substantial enough to describe fully what a gift this festival oblation is. The ebb and flow between Selma Roth, Guillaume Pige and Alex Judd enthrall as they render our emotions speechless like their act. This third production from Theatre Re will not fail to impress you because everything has been pushed to perfection." Our 8 minute preview performance at the Pleasance Press Launch has made it on to the BBC arts website, as part of their 'Best of the Fest' selection for Dance and Theatre! "One can just enjoy the dance and music or be swept away by reaction and interpretation... The music by Alex Judd is hypnotic without being intrusive or distractive." August 2015: Another ★★★★ review! "An unsettling yet beautiful journey into the mind of a blind musician, the live score is breathtaking and the blend of mime and dance is hypnotic." "Incredible music... Judd managed to create an overwhelming soundscape interspersed with soaring melodies and dramatic crescendos." "The live music... heightens the emotional content of the piece so beautifully." The music from Blind Man's Song will be available to purchase throughout August at the Edinburgh Fringe Festival. We will be selling USB sticks that include seven tracks, along with a programme and photos. Come and see us after a show for more info! Here is a little taster of what the music sounds ﻿like﻿. Having just come back from two fantastic Edinburgh previews as part of the Latitude Festival (Theatre Arena) and Departure Lounge Festival (Derby Theatre), we are now ready to take Blind Man's Song up to the Edinburgh Fringe Festival! The show opens on Thursday August 6th and we then perform every day at 3.30pm in the Pleasance King Dome until Sunday 30th. Tickets are available here. Exeunt Magazine also wrote a short review about Blind Man's Song at Derby Theatre: "It is tragic, romantic and very simply and cleverly communicated." July 2015: Austentatious show at Udderbelly! June 2015: Blind Man's Song included in the Guardian's 'Pick of The Fringe'! Very proud to say that Lyn Gardner has included Blind Man's Song in her Fringe picks for The Guardian Stage. A lot of other brilliant companies are there too and you can find her recommendations here. In other Edinburgh Festival news, the fringe brochure has been launched and between Leeds, London and Berlin we made a little something to celebrate! But before EdFringe there will be Latitude and Departure Lounge at Derby Theatre in July to look forward to. Here's a little interview in The Public Reviews. Before heading up to Edinburgh, Theatre Re has been invited to perform Blind Man's Song as part of the prestigious Latitude Festival on July 18th. 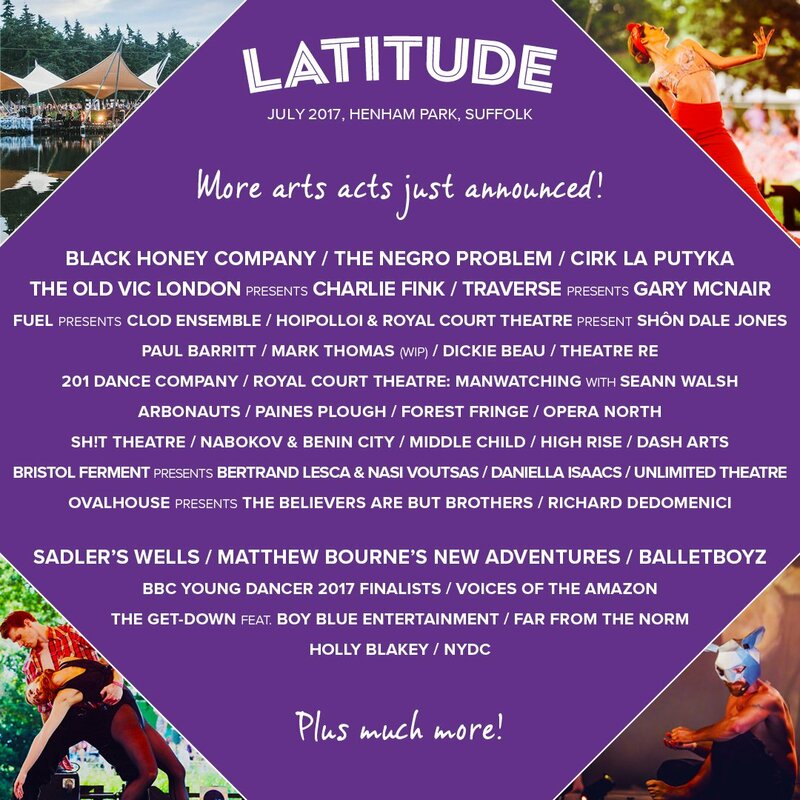 After Latitude we will then be returning to The Derby Theatre (in the main auditorium this time!) to open the Departure Lounge Festival on July 23rd. After the success of our first open workshop as part of the 2015 London International Mime Festival, we are now teaming up with Shoreditch Town Hall to organize a four-day Corporeal Mime Intensive Masterclass from July 6th to July 9th. This will be suitable for any professional or semi-professional performers and theatre makers, so come and train with us! More info here. Very happy to announce that Theatre Re will be back at the Edinburgh Fringe Festival for the 4th time this summer, with our new production Blind Man's Song. We will be performing everyday from August 6th to August 30th at 3.30pm in the Pleasance King Dome, and tickets have just gone on sale on the EdFringe website. Also, we have just released our brand new trailer. A big thank you to Jack Judd, Malik Ibheis and Alex Judd for putting it all together! We will be back in touch very soon with some more info about all our summer activities (oh yes, there is a lot more to come)! View the latest newsletter from Theatre Re here. 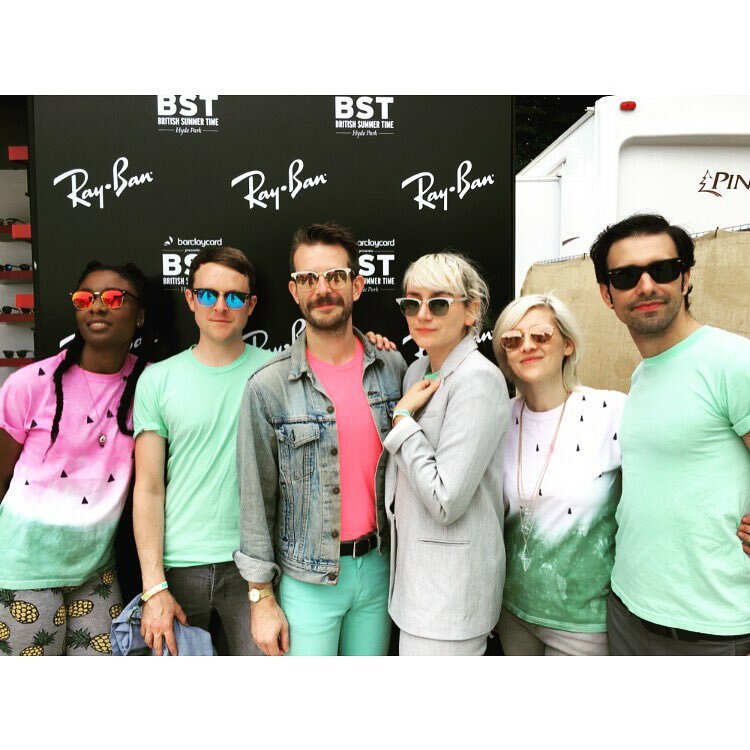 The brilliant Bright Light Bright Light has just announced summer shows supporting Elton John on the UK leg of his tour, along with a spot on the line-up of British Summer Time Festival in Hyde Park amongst the likes of Kylie, Grace Jones and Chic! I'm particularly looking forward to the shows at the Eden Project - the summer is shaping up very nicely indeed! Full list of dates here. The incredibly talented folks of Austentatious have announced three dates at the Udderbelly Festival at the Southbank Centre! I will have the pleasure of accompanying them in the upside-down purple cow on July 15th. Tickets available here.